With over 300,000 students the University of South Africa (UNISA) is the largest University on the African continent and one of the ten largest in the world. The new UNISA was given its mandate as a comprehensive, distance learning university in 2004. In 2005 it adopted its new mission as The African University in the Service of Humanity.An essential part of the UNISA mission is to ensure that the university’s curriculum is relevant and intentional about bringing South Africa’s social, cultural, and environmental context into the learning experience. In addition, UNISA is committed to positioning itself as an innovative Open Distance Learning (ODL) institution that offers a top-quality learning experience to its students.To accomplish these objectives, UNISA partnered with Global Ecology and worked closely with Dr. Sabine O’Hara to design the UNISA Signature Course Project. The project develops and implements six signature courses that capture the UNISA mission – one course for each of the six UNISA colleges. 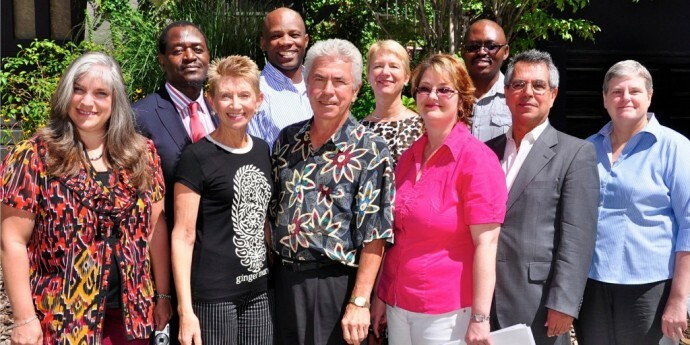 Three well-designed face-to-face workshops and site visits in South Africa and the U.S. formed the backbone of the project. The workshops established a close collaborative working relationships between U.S. curriculum experts and ODL course designers and UNISA faculty and staff.Beyond the six signature courses, the project also develops a staff training program and an organizational structure that ensures the successful implementation of the signature courses at the mega-scale of UNISA, and paves the way to the successful development of future ODL courses. All courses utilize cutting edge heutagogical strategies and optimize student learning outcomes by engaging students as co-teachers that bring their own life context into the learning experience.